Pets are awesome, so let's see pictures of your own. If you don't have a pet, take a look at yourself, then go get a pet. Then post a picture of it here so we can all go "Nawwwww!!" Here's mine, Bibble (black and white) and Buster (all black). This is Axel Rose, she's a leopard gecko and very friendly, and vibrant since she only just shed. She looooves climbing on my hand, but she never sits still so she can't leave her vivarium. This is Jak. He's a little bugger most times being so young. Whippet/Greyhound demon. But I love him. And finally, Daxter. Bonus picture of him when we just got him with his big eyes and dumb smile. The other picture of him standing is before his injury. And here he is today. Stretching while his recovery vest was in the wash and using an old shirt instead. @kyleforrester87 Your cats are so adorable! I've actually become more interested in cats lately simply because they're chill and independent animals compared to, say, dogs. I'd really love to get one in the future if a chance arises. But my sister and parents always have pets and my parents have got a kitten in the last 6 months or so. I will try and get some photos up of her. 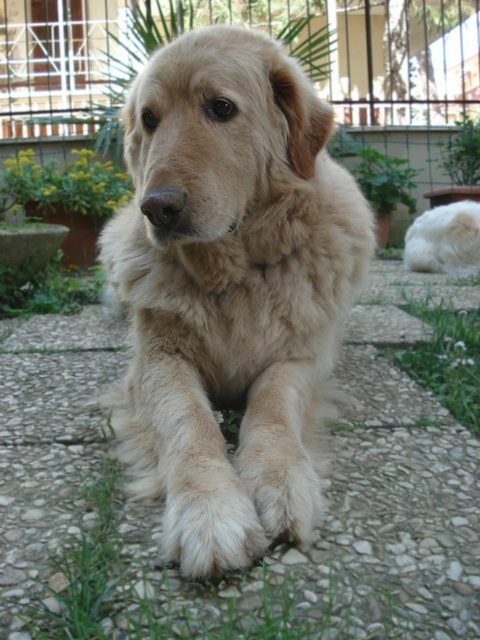 I start with Pepe (Pepper in english) 3 years old, and Laica, 6. Both are wonderful mutts adopted from the local kennel. So much love for this thread, keep up the good work guys. This is Errol. He's one of my partner's 3 cats, and the best one because he prefers me! 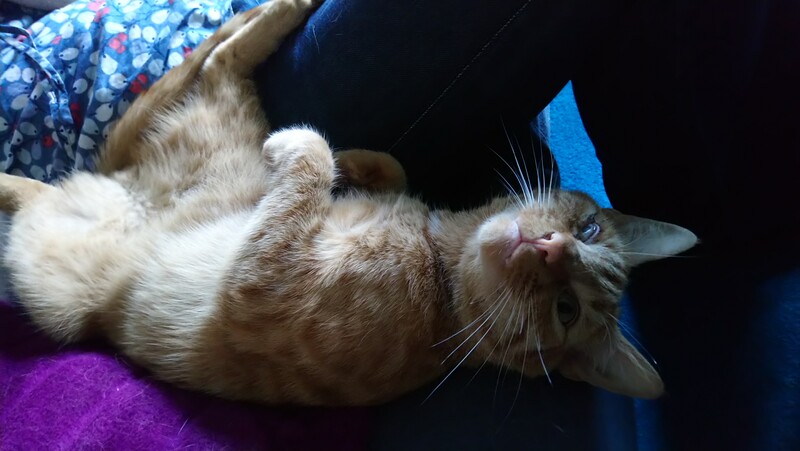 He's also a bit of an idiot, mostly missing one eye and in all my years - I've never known a cat so willing to be fussed anywhere and everywhere for longer than you'd possibly be able to. @Knuckles-Fajita Nice, I had a Leopard Gecko. It was called Gex lol. I don't miss messing around with meal worms and crickets though. Gross. @KratosMD Cats are great. I love dogs too, but they are a bit more of a commitment. But anyone who says they don't like cats is mad. @kyleforrester87 I only mind the crickets when they escape. And run into your trousers. Thats not fun. @kyleforrester87 Meal worms are fine. They grow up to be beetles! 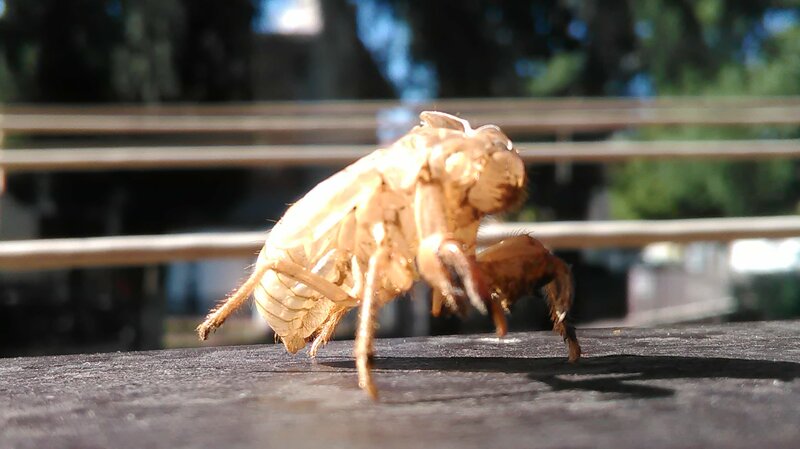 Talking about insects, it seems like cicadas dediced that my garden is a good place for their mutation. I've found dozens of their empty shells, but I've never been able to see a mutation live. @andreoni79 I had the chance to watch it up close once. It was a couple of years ago, in Italy. It's a pretty cool process. Here's one of my cat's named Kit. Funny story about his name when I lived with my mom a few years back while I was in between jobs she had a farel cat colony in her back yard. Well to try and curb the colony any young cats (old enough to be from their mom) her and her neighbor would humane trap them and take to a local humane shelter where they could be adopted out. 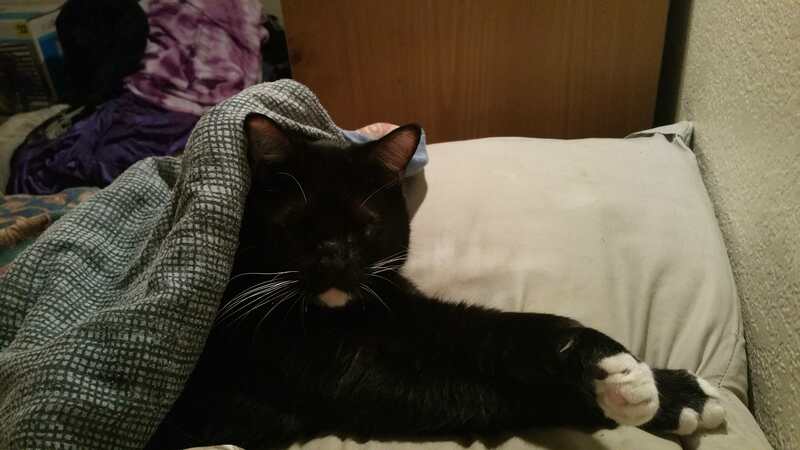 Sadly for Kit he is a special needs cat so finding him a home was going to be tough so my mom took him in and started to call him kitten, long story short he decided that I was his human when I lived there so we just called him Kit for short. I still have him and he's a cool cat. Even though he has his problems he doesn't let them slow him down. Every night he likes to sleep above my head on my pillow and if I take to long going to bed, as in playing a game or watching TV he will nudge at me till I do go to lie down lol. Anyway he is one of my cat's I do have one other but I have to find a good picture of her. I'm more of a dog person, but if I had a cat I'd name her Kat and let her participate in Push Square polls. On topic though, I really enjoy all these cute pics! Before Laica and Pepe I had the fortune to share my life with two amazing sheepdogs. This is Leo. 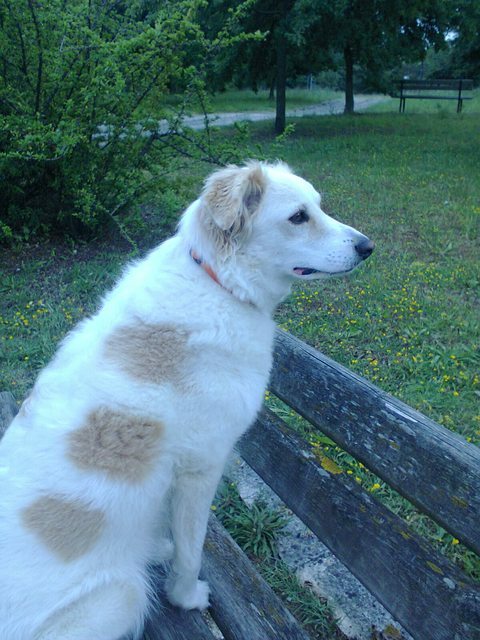 He was a Maremma sheepdog, saved by the kennel after he was mistreated and abandoned. He was a huge, sweet dog. 40 kg of pure love. 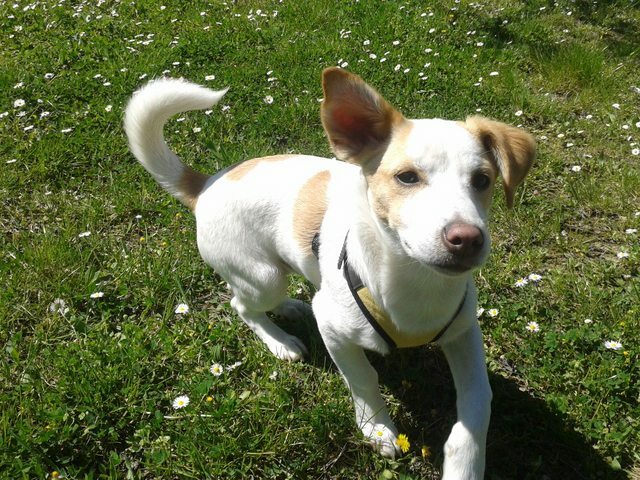 This is Stella (Star in english). She was a Shetland sheepdog, a present from a friend of my family. Smart and aristocratic exactly as the one seen in the Simpsons episode when Homer wears a tie to impress the dog! I have a pet hedgehog but don't know how to share pictures of her.